The rugged construction of the DFG81 gauges will withstand your industrial environments yet remain accurate to ±0.3%. The DFG81 gauges are sold as kits complete with gauge, hard carrying case, five measuring tips as well as a 3 inch extension rod. 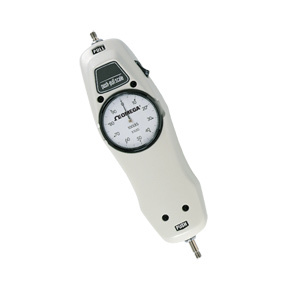 The ergonomic design makes it ideal for hand held use,or the gauges can be mounted on a test fixture. 注: The DFG81 gauges are sold as kits complete with gauge, hard carrying case, five measuring tips as well as a 3 inch extension rod.